The 10 Day Transformation, is a metabolic fast; a detox, while keeping and/or gaining muscle. An Amsterdam (Nederland) based Personal Trainer will coach you through your Transformation! 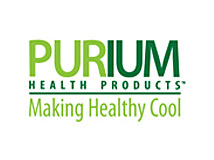 Congratulations for finding the products from Purium/Platinum and the 10 Day Transformation! These health products are truly a treasure chest of nutrition and strong tools in assisting changes in lifestyle, habits and our bodies! My dad originally sent the Purium (Platinum in Europe), Power Shake (a 10 Day Transformation product), to me in Amsterdam, from California! At that moment, my search for organic health products, that also directly impacted weight loss and/or muscle gain, ended. I have a tough criteria where is comes to standing behind any products. After observing phenomenal results among my clients and countless hours verifying scientific research, I became a distributor in the USA and Europe. This 10 Day detox is a metabolic fast; meaning that it supplies your body with optimal amounts of nutrition, including protein, so you do not starve your cells, but feed them. The products in the Transformation are from whole, detoxifying, powerful super-foods and protein used in the medical industry. Your body will be given the opportunity, through high nutrients and low calories, with minimal stress on digestive system, to do what it is good at; heal itself and burn fat. Your body can become a fat burning machine, without depleting your body of nutrients or messing up your metabolism (no yo-yo effect!). This 10 Day metabolic fast, includes researched and medically approved protein (in the Super Amino23/MAP pills), so you will keep all your muscle, instead of lose it (as with another fast or detox). In addition, all products are organic, non- GMO, and Kosher. This 10 day transformation system is incredibly easy to use, combining a set of products with flex-foods you choose from a list. There are a few 10 day Transformations available, and an entire range of health products, depending on your needs, life-style, and goals. We have a 10 Day Athletes Transformation (a sport fast), to increase athletic performance, muscle and detox, and many other products for sport, weight loss, health anti-aging and family. I want to help you select the right products and this website should give you all the information you need. Power Shake / meal replacement, Hippokrates Power: Rich in vitamins and total nutrition. Full of superfoods to burn fat, build muscle, support glucose levels, and curb cravings! I realize this is a 10 day commitment, so I am committed to you to answer any questions you may have. I have been a personal trainer for over 14 years, and a passionate holistic health advocate for over 20 years. I look forward to help you start your transformation. PS- This is how you can contact me. 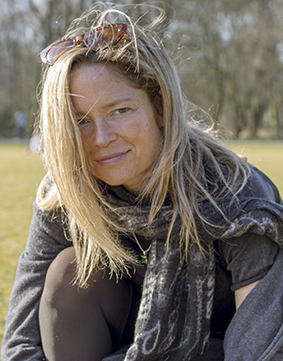 I am here to coach you (online or in person in Amsterdam) through your 10 Day Transformation.